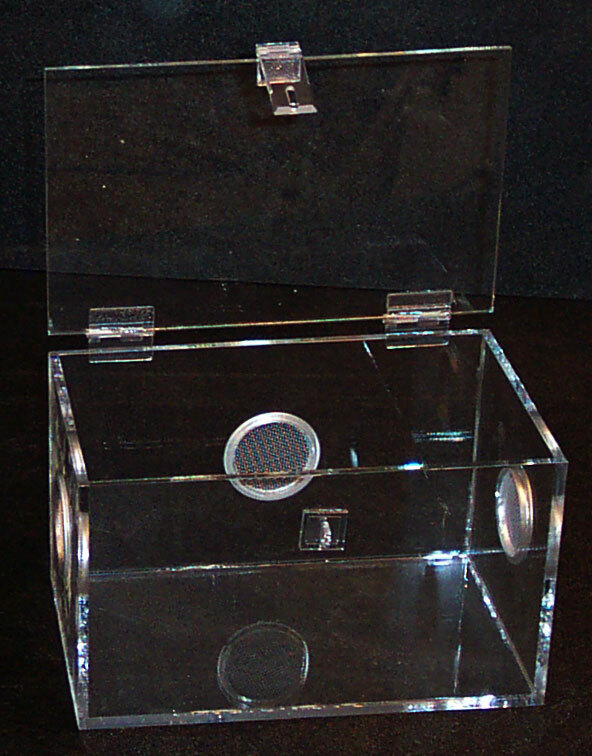 Small Terrestrial Cage built for ground or cave dwelling arachnids and made entirely out of acrylic for a crystal clear view. Has an easy access door on top with one lockable hinge. Also comes with 3 air vents that are 2" in diameter to allow for adequate airflow without an air-tunneling affect.